Famous for the abundance of wildlife and breath taking nature, when travelling to South Africa, you shouldn’t miss out on any of the following destinations. South Africa is not just an African destination to see the Big 5 (wildlife). There is so much more to see and do and the best place to start is in the Cape. 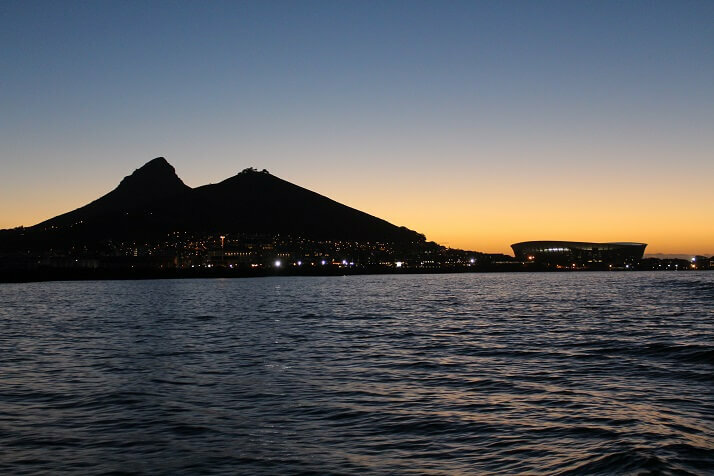 Cape Town is a beautiful city, with the iconic flat-topped Table Mountain standing proudly at its centre. It towers over the city bowl and the V&A Waterfront, which is a hive of activity with great places to shop, eat and explore. From the waterfront, take a boat trip to Robben Island, most famous for where South Africa’s political prisoners were held during the Apartheid era. Spend some quiet time in the cell where Nelson Mandela was incarcerated and leave with a greater appreciation of what this great man endured. Robben Island is a UNESCO World Heritage Site and worth a visit, even if you have to endure choppy seas. To really enjoy the majestic splendour of Table Mountain, start off at the world-renowned Kirstenbosch Botanical Gardens and hike to the top. If this sounds too strenuous (and it is), you can take the alternative option of a world-class cable car ride. Enjoy lunch at the restaurant that sits precariously close to the edge and take in the panoramic views of the city bowl and idyllic beaches below. The Cape is known for its scenic beauty and you will want to take a drive around the Cape Peninsula. Stop off at one of the many quaint villages along the route, follow the train track past Simons Town where you will see giant naval boats docked in the bay and make your way to Cape Point and the Cape of Good Hope. A walk to the lighthouse is a delight of unspoilt nature, sea birds and nature. In spring or early summer, you may be lucky enough to see a pod of Southern Right Whales frolicking in the bay. No trip is complete without a visit to Boulder’s Beach which is home to a colony of 3 000 African penguins. Make a day of it as there is an abundance of restaurants, beach walks and shopping to do along the route. The wine area of the Cape has been compared to the Napa Valley of California. A tour of the winelands starts just half an hour outside of the city and winds its way through spectacular countryside and towns such as Somerset West, Paarl, Stellenbosch and Franschoek. The villages along the route and the world-class wine farms boast superb restaurants where you can enjoy delicious cuisine matched with fine wines, and take in the glorious scenery. If you have the time, stay overnight in one of the many fine hotel and guest house establishments that all uniquely capture the essence of the winelands. Affectionately known as South Africa’s Eden, the famous route snakes its way across a landscape of extreme beauty with something to delight everyone along the way. Each quaint coastal town you pass through is unique and offers something for lovers of cuisine, adventure-seekers and outdoor enthusiasts. The Garden Route stretches from Mossel Bay in the Western Cape to the Storms River in the Eastern Cape. There are a number of nature reserves scattered along the route and towns such as Hermanus and Gansbaai are popular for whale spotting. Knysna is a popular destination in summer for holidaymakers and is home year-round to the arty set. But it is famous for its Oyster Festival that takes place in the middle of the year. Oudtsoorn is where you’ll stop off for a fascinating visit to the famous caves and for a ride on an ostrich. Rugged and untamed, the Wild Coast offers deserted beaches, dolphin sightings, horseback and hiking trails, cosy hotels, golf, gambling, mystical history, Xhosa heritage and the Hole-in-the-Wall. It is a section of the coast of the Eastern Cape and the birthplace of many prominent South Africans, including Nelson Mandela. Many rivers empty into the sea along the Wild Coast and you are either looking at breath-taking coastal views or at the massive cliff-faces with rocky crags that jut out into the surf below. Small sandy bays and long stretches of open beaches are often found near the mouths of large rivers, such as the Kei, Mthatha, Mbashe and Mzimvuba. Estuaries, bays and headlands are plentiful and the area is extremely popular with outdoor enthusiasts who flock there to hike the mountainous coastal terrain. About half the coastline comprises indigenous forest and many forest species that were previously unknown to science have been discovered in places such as Umtamvuna and Mkambati. About 900 forest and grassland species from the Wild Coast region have been identified as having commercial, traditional or homeopathic value. The area is also rich in cultural heritage, being the home of the Xhosa clan. There is little opportunity for employment here and many eco-tourism initiatives have been put in place to help the local communities. The 100 km² Inkwenkwezi Private Game Reserve is located on the outskirts of East London and is home to the Big 5. Coastal villages attracting tourists and holiday makers include Cintsa, Port St Johns, Coffee Bay, Hole in the Wall, Qolora, Kei Mouth, Morgan Bay and Haga Haga. KwaZulu Natal, otherwise known as the Kingdom of the Zulus, is situated on the east coast and is beautiful, vibrant and world-famous for its unique Indian cuisine. Its capital, Durban, is not only the busiest port in South Africa, it is the busiest port Africa. The city is also a major centre for tourism and very popular for its warm subtropical climate and extensive beaches. The ‘Golden Mile’ incorporates a string of beaches north and south of Durban and is a huge attraction for beach lovers and surfers from far and wide. It is also a shark-free zone. Either spend a relaxing day on one of the many beaches or explore the area, making your way through scenic sugarcane plantations to beach resorts in the south of the city and popular game reserves and wetlands to the north. Reserve at least one day to visit uShaka Marine World Aquarium. This is a 16-hectare theme park comprising of 4 sections; uShaka Sea World, uShaka Wet ‘n Wild, uShaka Beach and uShaka Village Walk. The complex is located on the strip of land between the beachfront and the harbour. Thousands of visitors wanting to explore Zululand and relive the history of its time descend on the Battlefield Route. The battles fought in the rolling hills and valleys of northern KwaZulu-Natal some 120 years ago changed the course of South African history. The sites of famous skirmishes that rocked the British, weakened the Boers and broke the mighty Zulu nation continue to draw historians. A good place to start and to give some context to your visit of this fascinating and beautiful region of KZN would be to take a guided tour. Other options are to self-drive to each site with a good guidebook and just enjoy the beautiful and often haunting views. Isandlwana and Rourke’s Drift are two of the most famous battlefields in the area, and also perhaps in British history. The sites are famous for a furious two-hour battle that saw Zulu forces who armed with traditional spears and shields thrashed the mighty British Colonial Empire Forces. On an annual basis, numerous re-enactments of some of the famous battles take place. Local people dress up in bright red, colonial British soldier or traditional Zulu warrior attire and, with much fervour, play out scenes recorded in the history books. Not far from a town called Babanango is the highland Ntingwe Tea Estate that sells a high quality tea to the famous London Store, Harrods. A tour of the estate takes one through the mountain top tea plantation, the factory and to meet some of the pickers. Babanango is a high hill that is central to many tales of battles won and lost and is the Zulu word for ‘Father, there it is”. This world-renowned park of nearly 2 million hectares features 16 ecosystems. Tick off the Big Five on your bucket list on a 4×4 game drive or walking safari. The Kruger National Park lies in the Limpopo Province and is the largest reserve in South Africa. With such diversity in flora and fauna, local and international visitors fall in love with the park that is otherwise known as the ‘people’s park’ as it is more affordable than the surrounding private game reserves. The wild diversity is mixed with some history at archaeological sites, like Masorini and Thulamela. If your budget allows, the choice of luxury 5-star game lodges in private reserves surrounding the park is endless. Here you can enjoy morning and evening game safaris in the Kruger Park with your own private game ranger and tracker, guaranteeing you game and bird sightings that will take your breath away. The province of Mpumalanga is not only famous for being Big 5 game country but also for breath-taking vistas that greet you around every mountain corner, waterfalls plunging down sheer rock faces, memories of the gold rush and a boat cruise down an endless river canyon. All of this is accessed along the Panorama Route that takes you through the towns of Sabie, Graskop and Pilgrims Rest towards the Blyde River Canyon. The small town of Graskop is famous for its delicious pancakes and Sabie is a vast expanse of timber plantations interspersed with crystal-clear streams and rivers. Landmarks to visit include God’s Window, Wonder View, the Pinnacle, Bourke’s Luck Potholes and the Three Rondawels. Scenic waterfalls to visit include Lisbon Falls, Berlin Falls and Mac Mac Falls. Pilgrim’s Rest is a quaint town with a rich history, and a place to relive the 1873 gold rush era. Try your hand at panning for gold. The finale of the Panorama Route is Blyde River Canyon. With its lush vegetation, it is known as the world’s largest ‘green canyon’ and is also one of the world’s largest canyons. Wind your way along the mountain pass 800m above the Blyde River Canyon and, at God’s Window, park your car and enjoy a walk through a thick, indigenous mist forest that’s often among the clouds. Stand at the edge of the escarpment and enjoy the spectacular view. The Bourke’s Luck Potholes are giant potholes formed at the confluence of the Blyde and Treur rivers and mark the beginning of the Blyde River Canyon. The financial capital of the country is Johannesburg and most likely your entry and exit point for your visit. Known as Egoli (the City of Gold), the town grew out of the dust and spoils of the gold rush era. Like any big city, it is all about shopping and eating out at a myriad of great restaurants. However, on the outskirts of the city are a few ‘must-see’ destinations. One of them is the Cradle of Mankind which is located 50km out of the city. There is a complex of limestone caves that is home to fossils dating back to the birth of humankind, the most famous being the skull of Mr Ples (estimated to be a 2.1 million-year-old skull) and the skeleton Little Foot (3 million-years old). A visit to Gold Reef City is a delight for the young and old where you can experience the rich history of the gold-rush era in between the thrills and spills of the amusement park. Close to Gold Reef City is Soweto and a guided tour of this mini-city is recommended. It is South Africa’s largest and most famous township and was a hotbed of anti-apartheid activity. Visit Freedom Struggle sites and eat at a shebeen or township restaurant. In the central region of South Africa lies a vast expanse of land that is like no other. It is defined by its topography, geology and climate. Low rainfall, arid air, cloudless skies and extremes of heat and cold made this an impenetrable and hostile barrier for pioneering stock crossing over the country from the South to the Northern regions. The Karoo also hosted a well-preserved ecosystem hundreds of million years ago which is now represented by many fossils. Probably your main reason for visiting the Karoo is just to take in the endless scenery, beautiful light of the morning and evening skies and enjoy the hospitality of the warm and welcoming townsfolk. The quaint towns are a refuge for artists and those looking to escape the stress of the big cities. The Karoo is also famous for its succulent lamb and eating your way across the Karoo is a national pastime. Experience the sights and sounds of South Africa. Lekker Adventures specialises in providing you with the complete travelling experience to South Africa. Click here to find out more about travelling to South Africa with the assistance of Lekker Adventures.